A new year is underway and for many people, that might bring to mind some more indulgent New Year’s Resolutions – and we say, why not? It doesn’t have to be about making a sacrifice; if there’s something you’ve wanted for years, such as a classic car for instance, then why not make 2018 the year you take the plunge? You only get one chance to make each year one to remember, so whether this is the year you invest in an iconic symbol of motoring heritage, or just start saving up for one in 2019-20, here are three reasons why you shouldn’t delay any longer than necessary. You don’t have to be a motoring enthusiast for a classic car to be a sensible purchase, as they also make great investment options. The sooner you buy a classic car, the better price you will pay for it, and the more its value will increase over the years – unlike brand new cars, which typically lose a significant percentage of their value in the first few years. Classic cars can even outperform more traditional investments at some stages in the economic cycle, while if you ARE an enthusiast, you could add even more value by fixing up a non-runner. With enclosed car transporters for classic car deliveries, you don’t need to buy a working vehicle, as it can be safely brought to you by truck without needing to start it up. 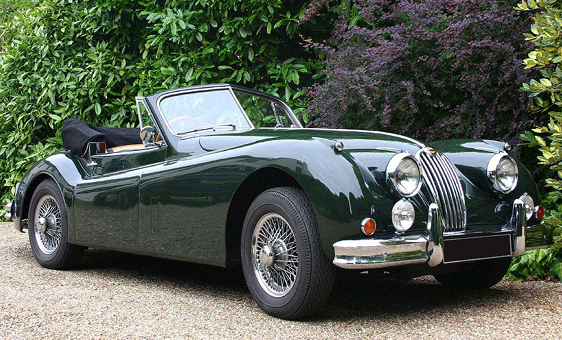 It’s easier than ever to buy a classic car, with specialist auction houses and classic car transport services that bring your new pride and joy direct to your door in pristine condition. Our own covered classic car transporters protect original paintwork from weather conditions and road grit during transport, while ensuring the vehicle does not clock up any extra mileage unnecessarily by keeping its wheels off the road. You might choose to drive it once you take delivery of it anyway – and that’s fine too, nobody is expecting you to keep it parked up as a show piece forever. But by using secure classic car transport during delivery, you keep those road miles off of the engine, leaving more of the vehicle’s usable life span for your own enjoyment either way. If you’re thinking about buying a classic car, you probably will at some point – so why not do it sooner rather than later? Year by year we hear the horror stories of people who use less reputable classic car transporters and pay the price for doing so, and that means that over time, the number of classic cars available dwindles too. If you believe you would be a more conscientious owner, buy your dream car as soon as possible and help to make sure these motoring icons survive for generations to come. We will be here to help by getting your classic car from A to B not just in one piece, but in the same pristine condition as when we picked it up.